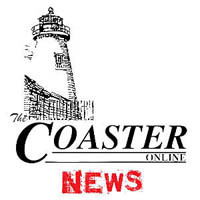 The Bradley Beach Borough Council has proposed a decrease in the amount of money collected through property taxes for municipal purposes. The council introduced its 2019 budget at its meeting earlier this week. A vote on the budget is planned for next month. The current budget includes $6,438,210 in tax revenue for local government purposes. The proposed budget would raise $6,433,316 in property taxes for municipal purposes. The mayor said that the overall spending amount for the 2019 budget is flat as compared to 2018. Engelstad said that most borough employees have union contracts which currently include a two percent annual pay raise. Some, he said, have step increases tied into their longevity of service. “At a time when the federal cost of living adjustment for 2019 has been established at 2.8 percent, I’m very proud of the fact that with all of the aforementioned expense challenges, the borough’s municipal budget is being introduced with a relatively flat municipal tax levy,” the mayor said. Engelstad noted that many residents have seen double digit percentage increases in their property assessments. “In an effort to offset many of these increases, this budget proposes a 12 percent reduction in the municipal tax rate,” the mayor said. “This is on top of the 5 percent reduction that took place in 2018. The mayor noted that the council has no control over the property taxes collected for the local school district, Monmouth County, and the local public library. For 2018, just over 39 percent of the total tax bill was used for municipal purposes. Nearly 37.5 percent went to the school district, 21 percent to the county and less than 2.5 percent to the library. From 2015 through 2018, the school district’s share of taxes increased by 6.31 percent while the county’s share went up by 7.25 percent. The municipal portion increased by just 0.12 percent over the same period. Though the library’s amount increased by 12 percent from 2015 through 2018, Engelstad noted that the library tax rate is a state mandated formula applied to the tax base, over which neither the municipality nor the library has control. In other developments at the meeting, Borough Attorney Marguerite M. “Peg” Schaffer said that the borough Planning Board acted properly when it named a new attorney in January. The board unanimously approved the appointment of Monica C. Kowalski of Neptune to replace Mark A. Steinberg, also of Neptune. Borough Councilman John Weber, also a member of the board, asked at the January meeting why he was not aware that the board planned to change lawyers. Board Chairman William Psiuk said that a subcommittee consisting of himself, Councilman Norman Goldfarb and board Vice Chairman Rafael Albanir recommended hiring Kowalski after the board decided in December to solicit proposals from professionals. Psiuk said he called every board member, but Weber and board member Al Gubitosi said they did not receive calls from Psiuk. Schaffer said that the appointment was made during a public meeting at which members could have expressed their opinions on the change.